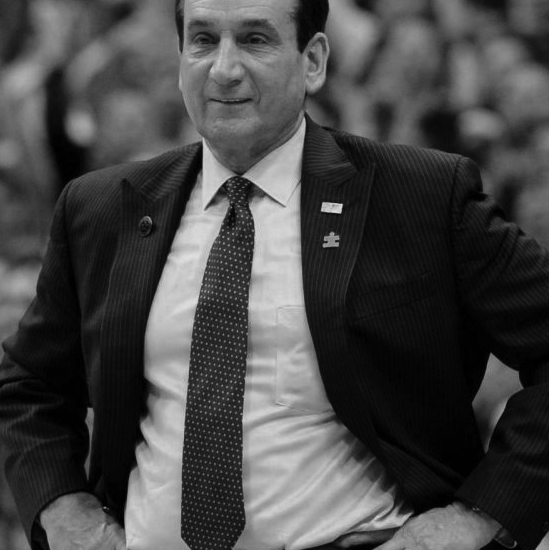 Duke University’s basketball program (since his arrival in 1980) has the indelible Coach K brand: 11 straight seasons of at least 23 wins (1984-1994), 14 upper-division finishes in the past 15 years in the Atlantic Coast Conference, five straight NCAA Final Four berths, and in 1991 and 1992, back-to-back national titles, the only coach since John Wooden to do that. During the Krzyzewski era, Duke has averaged 24 wins a season. 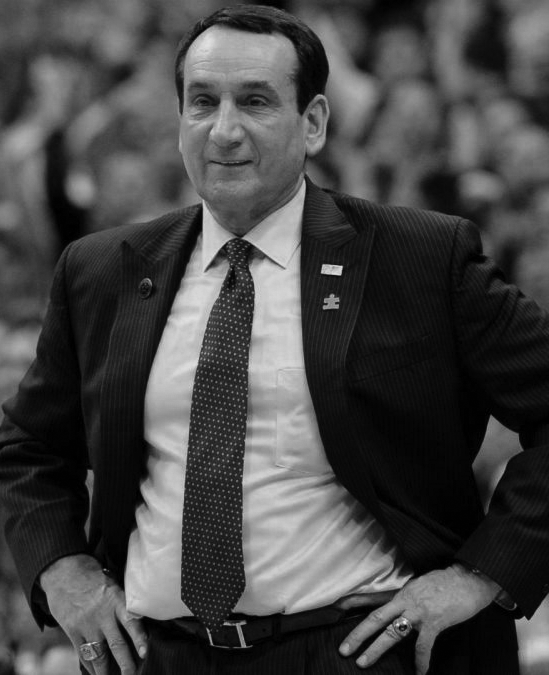 A native of Chicago, Krzyzewski was a three-year letterman at the U. S. Military Academy at West Point. His former Army coach, one Bobby Knight, offered him an assistant coaching position at Indiana. One year later, Krzyzewski returned to West Point, where in five years he had a 73-59 record and a pair of NIT appearances. 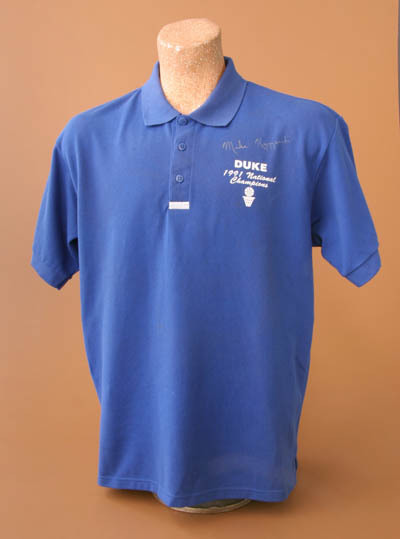 Krzyzewski was an assistant coach of the 1992 U. S. Olympic Team in Barcelona. The Duke University head basketball coach has been one of the nation’s top collegiate coaches for the past several years. And in 1991, all his years of hard work and dedication were recognized on many fronts. Coach K directed the Duke Blue Devils to their first-ever NCAA men’s basketball championship. Then, after years of international coaching experience, he was selected as an assistant coach for the 1992 United States Olympic men’s basketball team which won the Gold Medal. Finally he was inducted into the National Polish-American Sports Hall of Fame. Coach K then led Duke to the national title again in 1992 and once more in 2001. After growing up in Chicago and attending Weber High School, Krzyzewski was a three-year basketball letterman at the U.S. Military Academy. He received his B.S. from the U.S. Military Academy in 1969. Krzyzewski spent 1969 to 1974 serving his country. He directed the service teams for three years and then followed that up with two years as head coach of the U.S. Military Academy Prep School in Belvoir, Virginia. After his one-year stint under Knight, Krzyzewski returned to his alma mater, rebuilding that program. He directed the Cadets to a pair of National Invitational berths and a five-year record of 73-59. 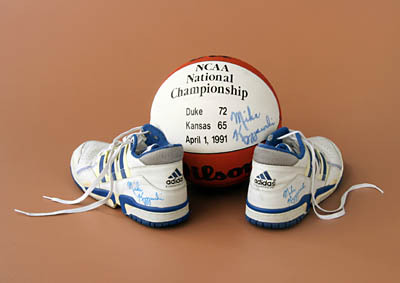 Coach K serves as a model representative of Duke. He is chairman of the Duke Children’s Miracle Network Telethon which aids children with fatal illnesses. He and his entire family, wife Mickie, and daughters Debbie, Lindy and Jamie have been involved in campaigns against alcohol, drug abuse and drunk driving. Joining Coach K at his induction into the Polish-American Sports Hall of Fame were his mother, Emily, and brother, William, a Captain in the Chicago Fire Department.